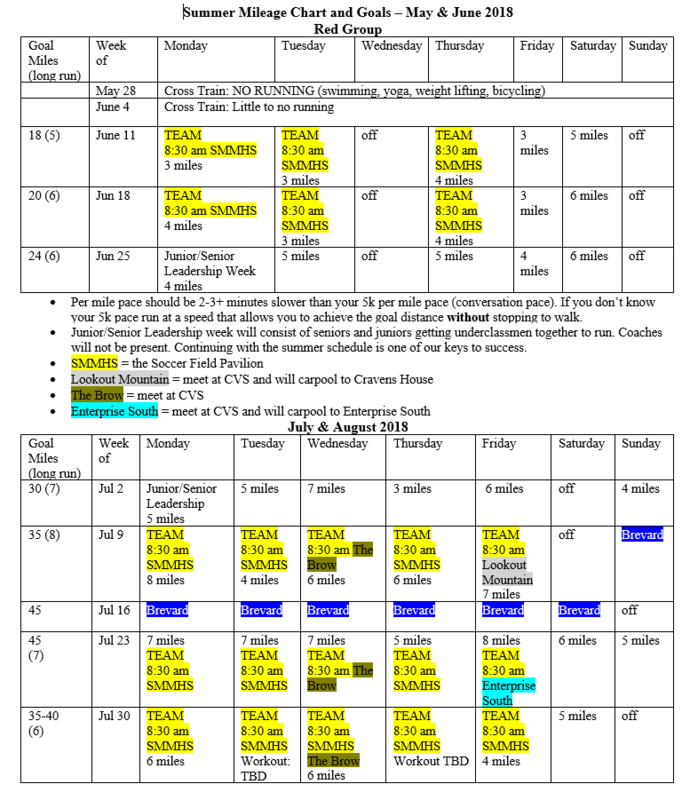 ​We go as a team during week 2 (July 15-21). Brevard sells out every year and when the spots are gone they won't add anymore. Register as an individual for week 2 to secure your spot. Please let me know if you have any questions. XC Season is Around the Corner!!! Below is the summer practice schedule. The schedule is broken up into 2 groups: Red Group and Black Group. Red Group is for upperclassman/experienced runners. Black Group is for underclassman/beginning runners. All practices will start at 8:30 am. Everyone is welcome!!! Track and Field Season is HERE!!! Here is an overview of the information we covered last night at the meeting. I’ve added a new notes in red. 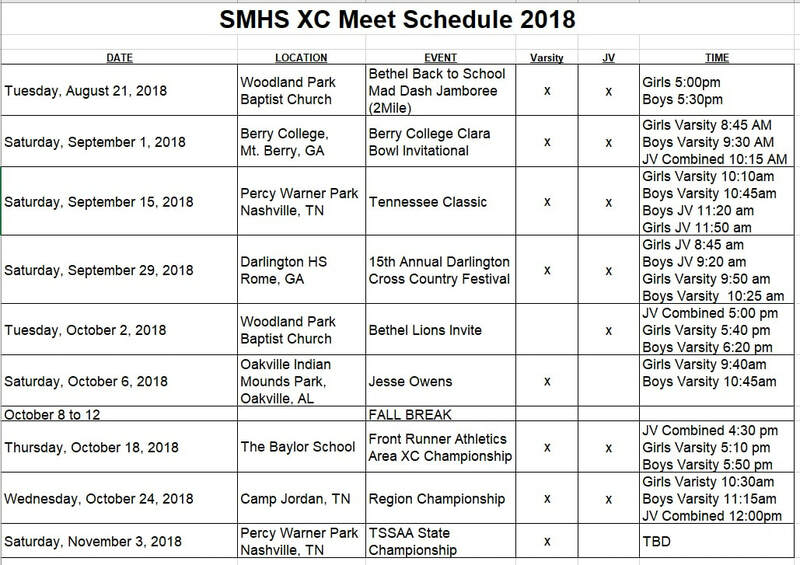 The meet schedule is attached. If you have any question, please let me know. Thanks! Photographer(s)- Save pictures and be upload to Google Drive at the end of the year. Videos too! 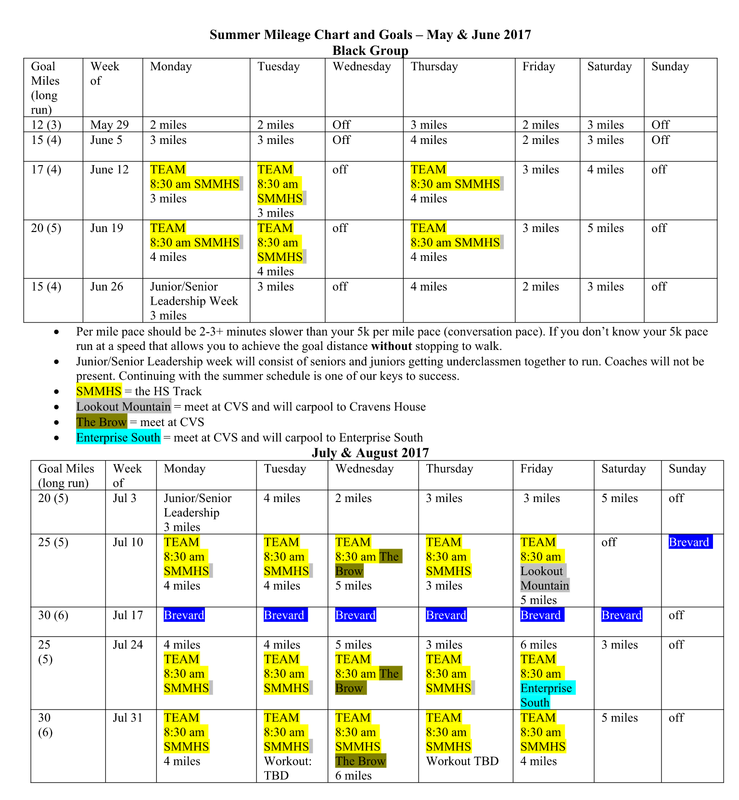 Below are the summer schedules for cross country practice. 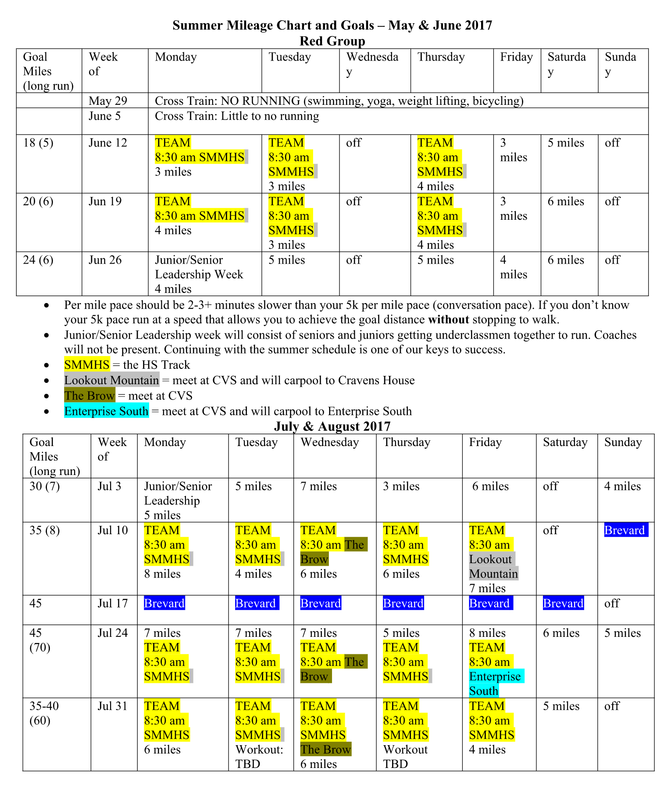 The red group schedule is for advanced runners who have been with the program for several years. 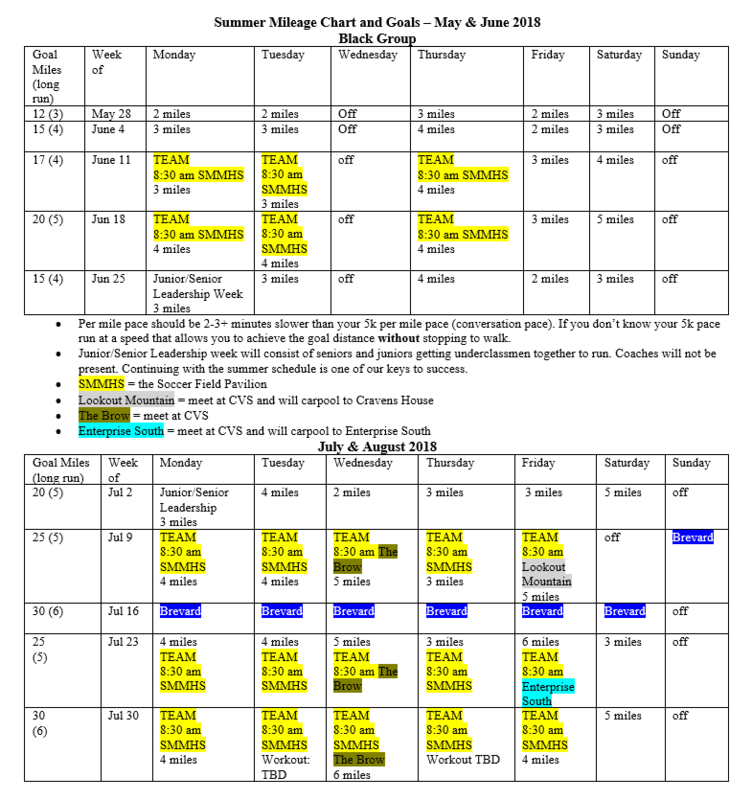 The black group schedule is for beginning and intermediate runner. If you have a question about which group you should be in, ask Coach Carpenter.